SilcoTek® is ISO 9001 certified by the independent auditing firm BSI America Inc. Registration to ISO 9001 demonstrates SilcoTek’s commitment to Zero Customer Disappointments, continuous quality system improvement and customer service. View our registration. At SilcoTek, we base our success on delivering an outstanding Plus 1 customer service experience coupled with exceptional coating quality. Our goal is to coat your parts perfectly the first time without altering them in any way aside from adding our high performance treatments to the surface. We call this effort Zero Disappointments, or Zero D, and our entire quality system is based around this basic yet critical principle. 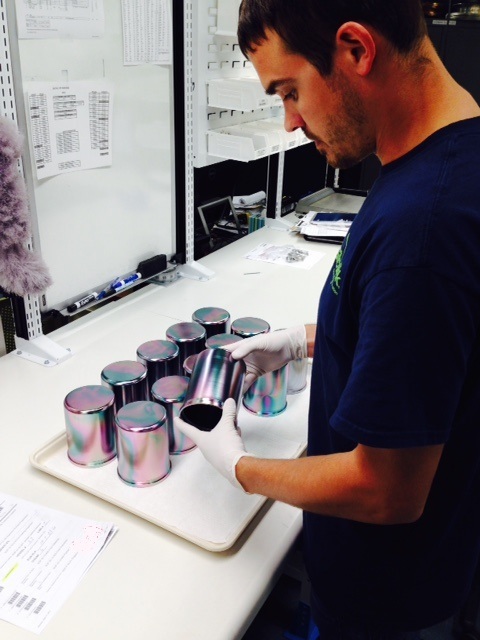 Incoming Inspection - Upon arrival to our facility, parts are visually inspected and photographed for traceability. Technicians search for any damage that may have occurred in transit or that the customer may otherwise be unaware of. For new parts or questionable substrates, we use a handheld x-ray fluorescence (XRF) analyzer to confirm that the substrate material is compatible. If we find anything out of the ordinary, our customer service group immediately contacts the customer for their disposition on how to proceed (or not proceed) with the coating process. At this stage, parts with special instructions for fixturing, handling, surface preparation, etc. are given custom traceable routings to ensure proper processing. After Surface Preparation - SilcoTek's surface preparation process is critical to a good coating (learn just how critical in this whitepaper). From this point forward, all parts are glove-handled to ensure that even fingerprints do not contaminate the surface. The surface prep team visually inspects parts to ensure 1) that no incompatible substrates or assemblies were overlooked at receipt and 2) the parts are free of any residue that would negatively impact the coating. After Coating - The most thorough inspection occurs after the CVD coating process. First, a stainless steel process control coupon that is included with every run is logged and stored to be referenced if necessary. Then, once parts have cooled and are removed from the oven, they are moved to the inspection queue. Quality control technicians perform a thorough visual inspection under light and magnification, this time focusing on the output quality of the coating. The "rainbow" color variation that's common with Silco'd parts represents very slight differences in thickness that reflect light differently. QC technicians are checking to ensure the coatings' thickness is within our specification across the entirety of the surface, the parts are free of visual defects, and everything meets the expectations we set with the customer from the beginning. This includes paying special attention to critical and machined surfaces, weld joints, tortuous pathways, etc. Sometimes, SilcoTek or our customers want to know more about how well the coating deposited. In that case, we retrieve the process control coupon from the run and analyze its DI water contact angle and thickness. 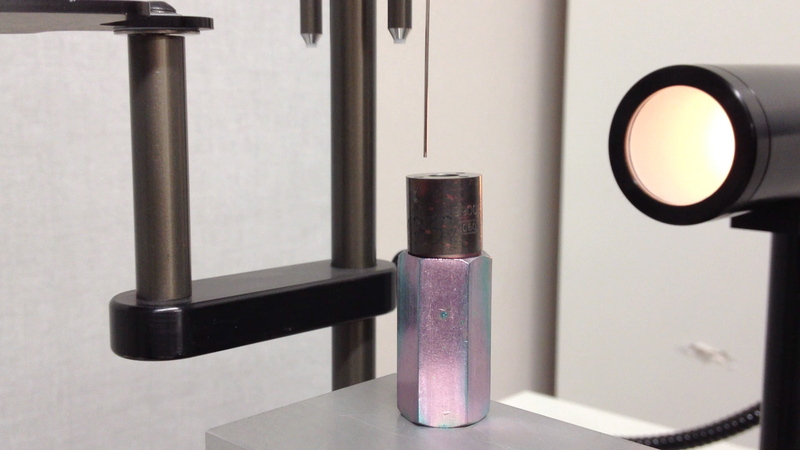 If the DI water droplet on the coated coupon yields a suitable contact angle per our specifications, we know that the coating is ready to perform. Certification - Once parts pass inspection and are packaged, they are certified compliant to the specification and/or other requirements as stated on the purchase order. SilcoTek's coatings are compliant with other regulatory requirements such as REACH and RoHS32, as well as company-wide management system standards such as ISO 9001. SilcoTek's coatings do not require MSDS/SDS sheets. Click here to view relevant coating compliance statements. SilcoTek's coating process is designed to make customers say "wow" when they see how their newly upgraded parts look and perform. We involve the customer from the beginning to ensure our process is optimized to meet their expectations. If it isn't, we work with them to produce the best coating possible for their application. Want to learn more? Click here to view our process overview.